Everything you need to know! Learn about all features that come with your product and steps to get your product up and running in no time. 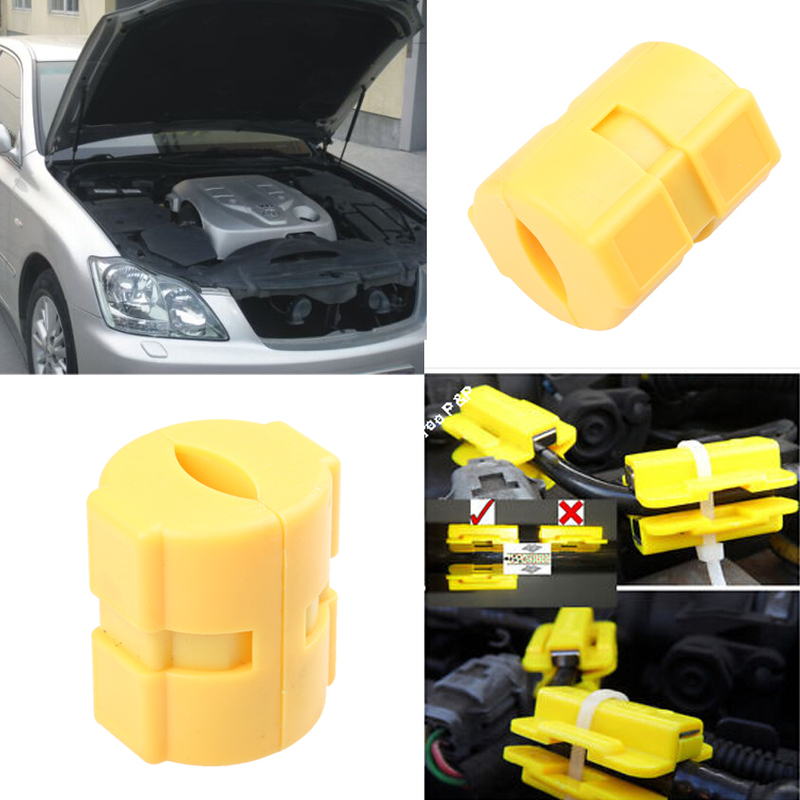 Magnetic Fuel Saver can also be used both on automotive for fuel saver and on water area, as some people find that magnets "soften" water and reduce scale build up. Magnetic Fuel Saver (Magnetic Fuel conditioner) is a perfect and amazing automotive assembly. Magnetic Fuel Saver is designed to condition the fuel prior to combustion to increase power output, save fuel, and reduce emissions. Question: Can all engines use the fuel saver? Solution: Yes. Fuel saver pro can be used by all engine types. It can boost the performance of all engines by removing combustion residues in the injection system, piston and valves. Question: Does it change the rate of exhaust gases? Solution: Pollutants and toxic gases can be reduced because of cleaner combustion. Question: How often should I change the saver? Solution: There is no need to change the fuel saver. It can be used during the whole lifetime of your engine. It will continue to reduce emissions and increase fuel economy as long as it is attached to the fuel inlet hose. If the need arises, you can also remove it and transfer to another vehicle. Question: Will the fuel saver void my vehicles manufacturer’s warranty? Solution: Definitely not. The fuel saver is an “intrinsic” device meaning no part of your engine is moved or removed during installation. It is simply attached to the outside of your fuel inlet hose. This does not in any way jeopardize your manufacturer’s warranty. Question: How long will it take for the fuel saver to start working? Solution: The moment you install the fuel saver, it starts functioning. You will not experience any power changes and you will be able to continue driving normally while the mileage of your vehicle increases. As you drive, combustion residues are gradually removed. When all residue has been removed, your engine will be running at its best performance possible. The amount it takes for all the residue to be removed depends on many factors including the age of your engine, maintenance, and mileage. The fuel saver is the easiest way to save money and improve efficiency. Question: What is the principle behind the fuel saver? Solution: The fuel saver works by making use of strong magnets. These magnets create a magnetic field around the fuel inlet pipe making more homogeneous fuel combust easily. The result is the fuel becomes more fluid which in turn boosts combustion. Question: Will the fuel saver be able to resist the high engine temperature? Solution: Definitely. The material used in the fuel saver is designed to be resistant to temperatures higher than the temperature of the engine. The biggest manufacturers of vehicles use the same material which is heat resistant. Question: How does the fuel saver work? Solution: All kinds of fuel contain additives which allow gas to be less volatile and safe for use and storage. These additives are combined with fuel using high-temperature refinement. According to research, the temperature change that occurs in the engine causes the molecules of the fuel attached to the molecules of the additives. The result is a less fluid fuel which hinders optimum combustion. The fuel saver creates a permanent high magnetic field which breaks the bond between the fuel and the additives. This results in optimum combustion and reduction of harmful chemicals in the exhaust gas. With higher combustion, the engine uses up to less fuel. The effect is cleaner fuel, less pollution and increased lifetime of the engine. Question: Can I use multiple fuel savers on my engine? Solution: Yes. If your engine is more than 2L or 2000cc, you can install two fuel savers for best results. For engines lower than 2L, a single fuel saver will suffice. For trucks, we advise that you use one fuel saver per injector for optimum results. Still, if a fuel saver is installed just on the main fuel supply, you will still receive benefits.